English Amiga Board - My 360 controller eats USB cords? My 360 controller eats USB cords? That's two so far and they both wants to move down all the time. No strain on the wire and plenty of slack. Such thing as heavy duty USB cable around? Wireless controller is perhaps better solution? I've been using wireless 360 controllers on Win7 & Linux (standard xpad driver) for years now with zero problems, so that's definitely worth checking out. I also have an XBOX One controller, unfortunately it feels cheap and flimsy compared to the 360 controller, and to top it off it's an early model without bluetooth, so wired is the only way to go on PC. Perhaps the later models has a better build quality and not the "cheap China knock-off" feel ? 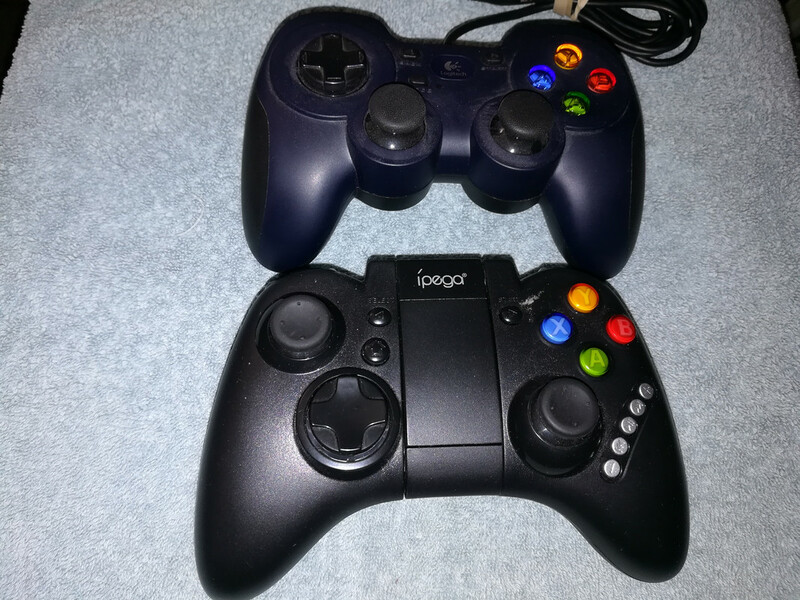 I forgot to mention it is an ipega wireless controller but it wouldn't connect with the Bluetooth dongle on my PC. It has an option of using the USB cable as a wired controller. Sorry for the confusion. As I said, two cables quit working. So there is a such thing as a better made USB cable? Buy the wired 360 controller for PC. Had one for years no problem. I will shed a tear when they stop selling these. I also have an iBuffalo SNES controller that I modified with a thumb knob. HotRod SE (not relevant for this discussion). Original Xbox controllers (connected via a "Super Joy Box 11" adapter). Original Xbox 360 wireless controllers with USB wireless adapter.